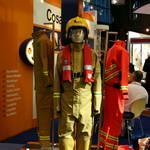 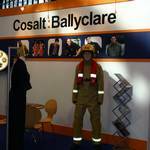 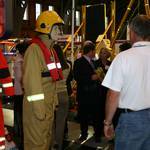 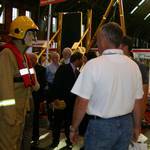 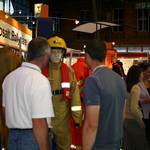 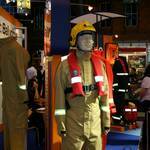 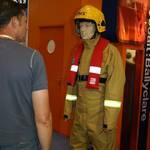 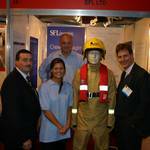 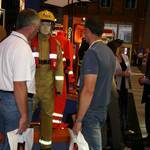 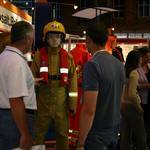 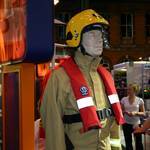 Standing on Cosalt Ballycare stand at Fire 2004 dressed in a Frontier fire coverall. 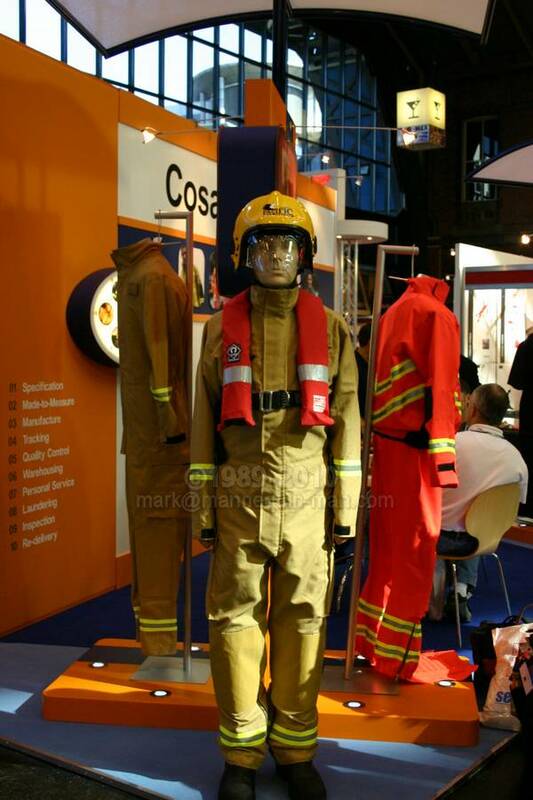 Frontier garments are specifically designed for use in wildland fire situations, this lightweight one-piece coverall aims to reduce the risk of heat exhaustion due to physical exertion over long distances. 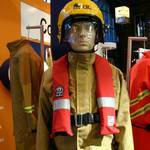 Lightweight PBI Gold Fabric to enable fire-fighters to carry out wildland incidents, Elasticised waist facilitates greater ease of movement during wear. 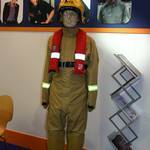 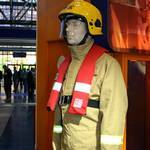 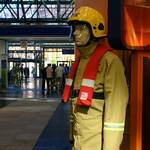 Strategically positioned, guarded zip allows fire-fighters to quickly don the suit in emergency situations. 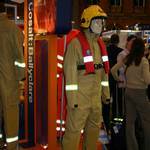 Reflective tape on sleeves and legs. 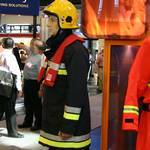 Arashield knee patches for added protection in crash situations and conditions where wearers are required to kneel for long periods. 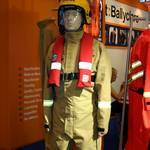 Pockets positioned at side and hips for easy access and useful stowage. 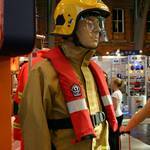 Tab adjusters at ankle and wrist to ensure comfortable fit. 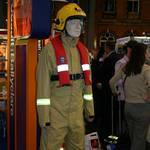 Radio loop to chest positioned for easy access.